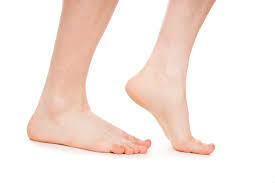 Metatarsalgia is pain at the font of the foot and is directly related to how weight is taken through the forefoot. There are a number of reasons for the symptoms of metatarsalgia. The reason for these issues leading to metatarsalgia are described in detail below. However to establish why you may be experiencing these issues and how you can treat these it is advisable to undergo a full biomechanical assesment by a qualified clinician. 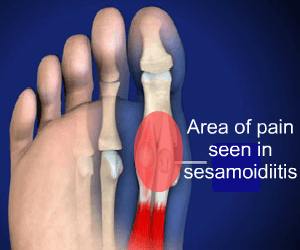 Sesamoidiitis is a specific forefoot pain that specifically relates to the pain underneath the big toe joint related to 2 small bones in this area. It is felt when the 1st toe is loaded usually when the foot is preparing to push off onto the other foot. Transfer metatarsalgia is a secondary problem which is present usually underneath the 2nd toe joint (Metatarsophalengeal joint). Often when patients have other issues such as bunions or over pronation it affects the biomechanics of the foot. The over pronated foot loads the 1st toe earlier and more than is normal which displaces on weightearing. The 2nd toe however cannot displace and is then left to take excessive load causing pain and discomfort. In the longer term it is common to see hard skin underneath the 2nd/3rd toe joints. A tight Achilles tendon can limit the movement at the ankle and ultimately how the foot would work in stance phase (while your foot is on the ground). As the movement is limited at the ankle other joints in the foot and ankle try to compensate usually by increased pronation. The problem with this compensation is that this alter how the foot takes load. This in turn can lead to metatarsalgia due to the increase in load of the foot. To treat the foot with a tight Achilles tendon and secondary metatarsalgia. Stretching of the tendon to elongate the calf muscles is required. Orthotics to offload the painful area and to correct the altered biomechanics would be required. Again, a biomechanical assessment is recommended to ensure correct orthotic prescription and stretching regime. A forefoot equinus is often seen in conjunction with a tight Achilles tendon, but the foot often looks quite different in it's presentation. A forefoot equinus occurs where the structures underneath the foot (plantar structures) are tight. As a result of this tightness, the arch is often stiff and possibly higher than normal. 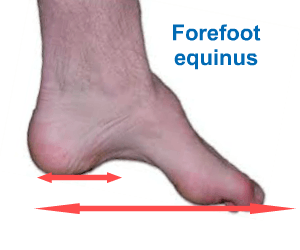 A forefoot equinus is often seen in the under pronating or high arched foot. A forefoot equinus happens where the back of the foot (hind foot) and the forefoot are misaligned due to the tightness in the plantar fascia. When looking from the side (sagittal plane) the forefoot sits lower than the hindfoot (see image). As a result of this foot position the foot takes weight over a smaller area than normal meaning pressure under the front and the back of the foot is increased, leadin to metatarsalgia. Orthotics would be used to re-distribute pressure across the foot more evenly. Over pronation is where the foot rolls in excessively and causes issues around how weight is taken through the foot and how it functions. There are a number of reasons for over pronation, which is explained in more depth on our dedicated over pronation page. 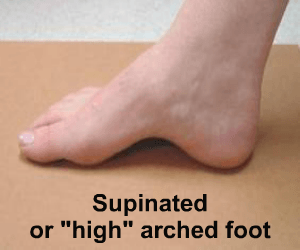 Under pronation is where the foot rolls in less than is normal and is closely related to the issues described above in the forefoot equinus section. Often the high arched foot requires more cushioning as this is lost in the stiff under pronating foot.